Saturday classes are held before the park opens to the general public. You can sign up online or in person at Society. We recommend signing up online to ensure you get a spot. All minors (Under 18) are required to wear helmets. If you don’t have a helmet or skateboard, we have a limited supply that you can use. We recommend arriving 20-30 minutes before your class starts. There is a viewing area from the stairs or our lounge upstairs. 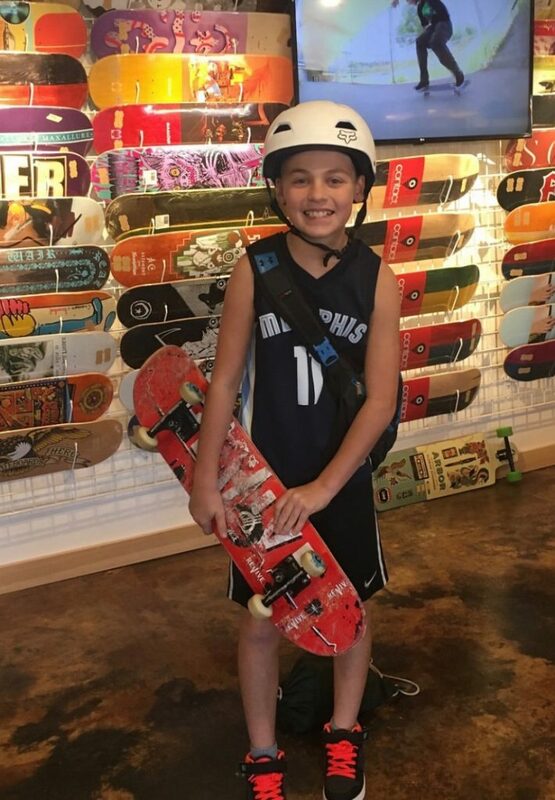 If a parent would like to enter the skatepark, they are required to fill out a registartion form and waiver as well. 9am – 10am – SATURDAY – SIGNUP HERE! This class is designed for kids just starting out or already know some basics. This class will have more ‘hands on‘ coaching/training. 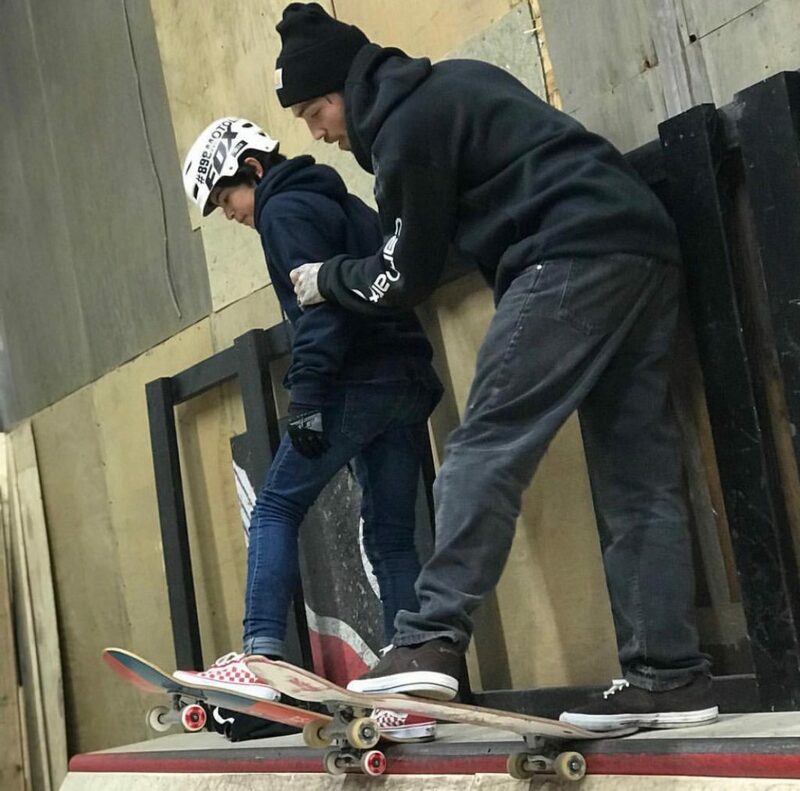 We teach everything from standing on your board correctly, pushing, turning, carving and momentum. The instructors will help the kids grow in thier abilities and let them know when they are ready to advance to the next class level. – 10am – 11am SATURDAY – SIGNUP HERE! Younger ones that have the basics down or ages up to 18 that are still learning are perfect for this class. 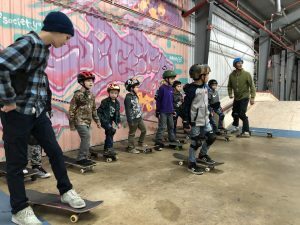 This class is the next step when you have all the basic skateboarding skills in place. 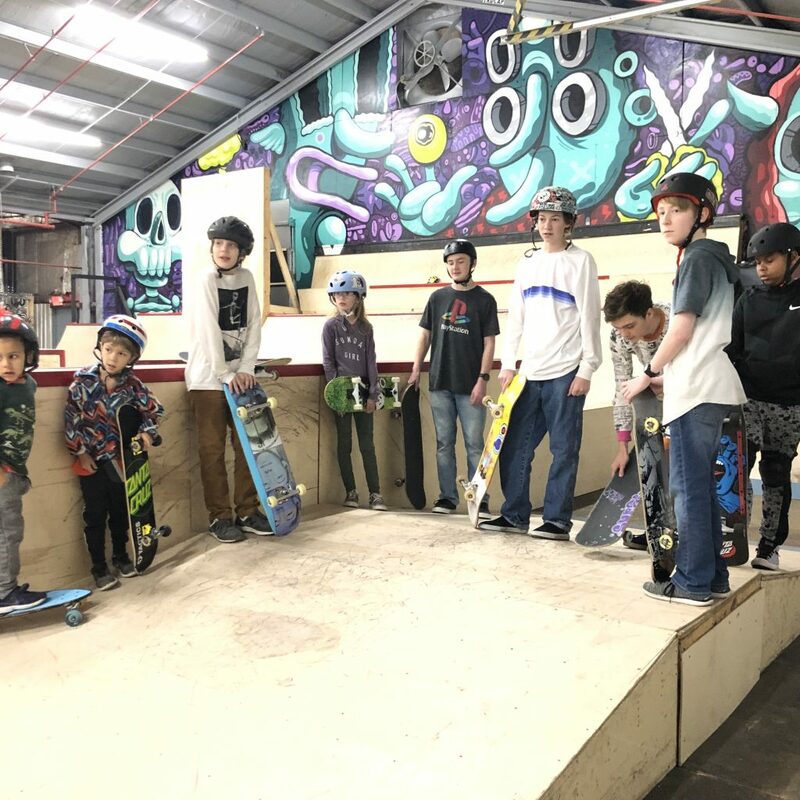 In this class you’ll learn to handle faster speeds, how to connect lines, Frontside, Backside, Switch, and introduction to the Ollie. MONDAY NIGHTS FROM 7-9 PM FOR ADULTS ONLY!